There’s no doubt that certain Los Angeles DUI cases are ambiguous. Police should be entitled to some discretion when it comes to deciding whether to arrest people. If you look and act like you are DUI — and you blow a high number on your breath test — the police may have good cause to place you under arrest. • But what happens if you blow a 0.00 percent on your breath test? • What if a chemical test shows that you are literally stone cold sober? • And what if police arrest you anyway? • And what if you are black, and they arrest you for this “crime”? • And what if you are black, and they arrest you in Texas after blowing a 0.00 percent BAC, and then police still stand by the arrest months later? If that scenario sounds fictional, think again. 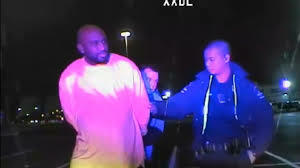 Police in Austin arrested an African American man, Larry Davis, on January 13, 2013, after Davis ran a stop sign. Davis told police that he had only one drink of alcohol — and a breath test showed that he had a 0.00 percent BAC. He also volunteered to take a blood test. Weeks later, Davis’ blood test results came back showing exactly what he had insisted – there was zero alcohol in his system. Statistically speaking, it’s easy to make a case that the Austin police are a bit “trigger happy,” when it comes to busting people for DUI. Travis County, Texas, has the highest DUI dismissal rate in Texas, per an Austin Statesman analysis — a whopping 30% of cases are dismissed. That said, battling back against a DUI charge anywhere is neither simple, nor cheap. In Los Angeles, California police must respect your Fourth Amendment Rights. In other words, they must be able to justify stopping you by pointing to clear, easy to articulate facts about some criminal activity. It is possible to challenge probable cause by asking for a hearing per California Penal Code Section 1538.5. The team here at the Kraut Law Group can assist. Attorney Michael Kraut is a former prosecutor who has a stellar reputation for helping clients like you with Los Angeles DUI defense.